N=8 supergravity is what happens when you add the maximum amount of supersymmetry to a theory of gravity. I’m going to strongly recommend that you read both of those posts before reading this one, as there are a number of important concepts there: the idea that different types of particles are categorized by a number called spin, the idea that supersymmetry is a relationship between particles with spin X and particles with spin X-½, and the idea that gravity can be thought of equally as a bending of space and time or as a particle with spin 2, called a graviton. Knowing all that, if you add supersymmetry to gravity, you’d relate a spin 2 particle (the graviton) to a spin 3/2 particle (for 2-½). What is a spin 3/2 particle? Spin 0 particles correspond to a single number, like a temperature, that can vary over space. The Higgs boson is the one example of a spin 0 particle that we know of in the real world. Spin ½ covers electrons, protons, and almost all of the particles that make up ordinary matter, while spin 1 covers Yang-Mills forces. That covers the entire Standard Model, all of the particles scientists have seen in the real world. So what could a spin 3/2 particle possibly be? We can at least guess at what it would be called. Whatever this spin 3/2 particle is, it’s the supersymmetric partner of the graviton. For somewhat stupid reasons, that means its name is determined by taking “graviton” and adding “-ino” to the end, to get gravitino. But that still doesn’t answer the question: What is a gravitino? Here’s the quick answer: A gravitino is a spin 1 particle combined with a spin ½ particle. What sort of combination am I talking about? Not the one you might think. A gravitino is a fundamental particle, it is not made up of other particles. So in what sense is it a combination? A handy way for physicists to think about particles is as manifestations of an underlying field. The field is stronger or weaker in different places, and when the field is “on”, a particle is present. For example, the electron field covers all of space, but only where that electron field is greater than zero do actual electrons show up. I’ve said that a scalar field is simple to understand because it’s just a number, like a temperature, that takes different values in different places. The other types of fields are like this too, but instead of one number there’s generally a more complicated set of numbers needed to define them. Yang-Mills fields, with spin 1, are forces, with a direction and a strength. This is why they’re often called vector fields. Spin ½ particles have a set of numbers that characterizes them as well. It’s called a spinor, and unfortunately it’s not something I can give you an intuitive definition for. Just be aware that, like vectors, it involves a series of numbers that specify how the field behaves at each point. It’s a bit like a computer game. The world is full of objects, and different objects have different stats. 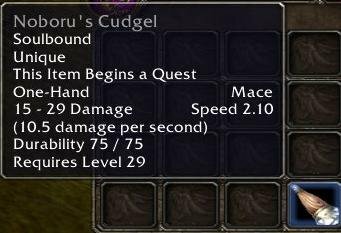 A weapon might have damage and speed, while a quest-giver would have information about what quests they give. Since everything is just code, though, you can combine the two, and all you have to do is put both types of stats on the same object. For quantum fields, the “stats” are the numbers I mentioned earlier: a single number for scalars, direction and strength for vectors, and the spinor information for spinors. So if you want to combine two of them, say spin 1 and spin ½, you just need a field that has both sets of “stats”. That’s the gravitino. The gravitino has vector “stats” from the spin 1 part, and spinor “stats” from the spin ½ part. It’s a combination of two types of fundamental particles, to create one that nobody has seen before. That doesn’t mean nobody will ever see one, though. Gravitinos could well exist in our world, they’re actually a potential (if problematic) candidate for dark matter. But much like supersymmetry in general, while gravitinos may exist, N=8 of them certainly don’t. N=8 is a whole lot of supersymmetry…but that’s a topic for another post. Stay tuned for the next post in the series!